BROOKLYN, LASTWAVE, VICTORY, REVOLUTION, JUGHANDLE, TROEGS, 7 MILE, NEW BELGIUM, GREAT LAKES, CRICKET HILL, RIVERHORSE, SOUTHERN TIER, FIRESTONE, TUCKAHOE, EVIL GENIUS, OMMEGANG, ASBURY PARK, DOUBLE NICKEL, KONA,TERRAPIN, SAM ADAMS, SWEETWATER, DEVIL’S BACKBONE, SHIPYARD …and more! Enjoy unlimited samples of fine craft beer from over 40 breweries AND unlimited food from our gourmet buffet (open all day). All beer and all food is included in the ticket price and at $60 it is a tremendous value. Get your tickets NOW though because there is limited space and we do not oversell this event. 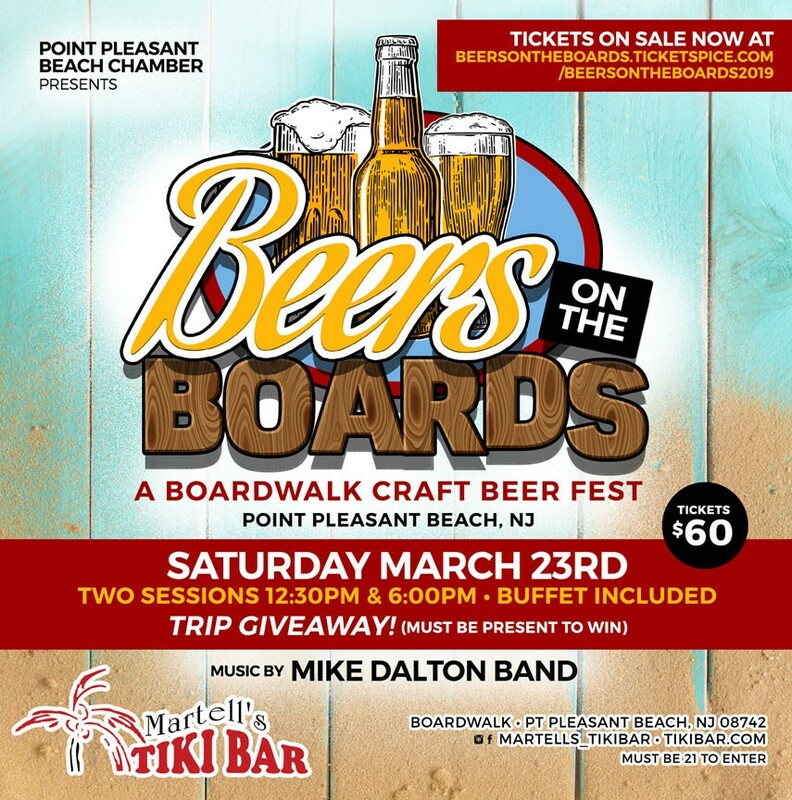 New in 2019 – Mike Dalton and his band will be on the main stage for both sessions! The Best Jersey Beer contest winner will go on tap at Martell’s for the season and you get to pick it!! !